What is natural language search? This is when someone performs a search using similar language and phrasing as they would in spoken language. Google is becoming increasingly adept at understanding meaning and consumer intent in queries – such as synonyms, phrases and the nature of complicated questions – and using this to retrieve and return specific, highly relevant results. How do search engines determine the context of the search query? Search engines understand the relationship between words and have become accustomed to linking certain words from a search query with a perceived meaning of that query. This process is known as Latent Semantic Indexing (LSI) – this allows a search engine to determine a relevancy of a page not only with its search query, but also with the context of the search query. In other words, LSI helps search engines to retrieve data based on the context of the search query. For instance, search engines are capable of identifying that the English language terms “laptop” and “notebook computers” are conceptually similar. They take into consideration topic associations, relating terms, phrase matches and co-occurring words all of which form a foundation for strong, effective contextual content. 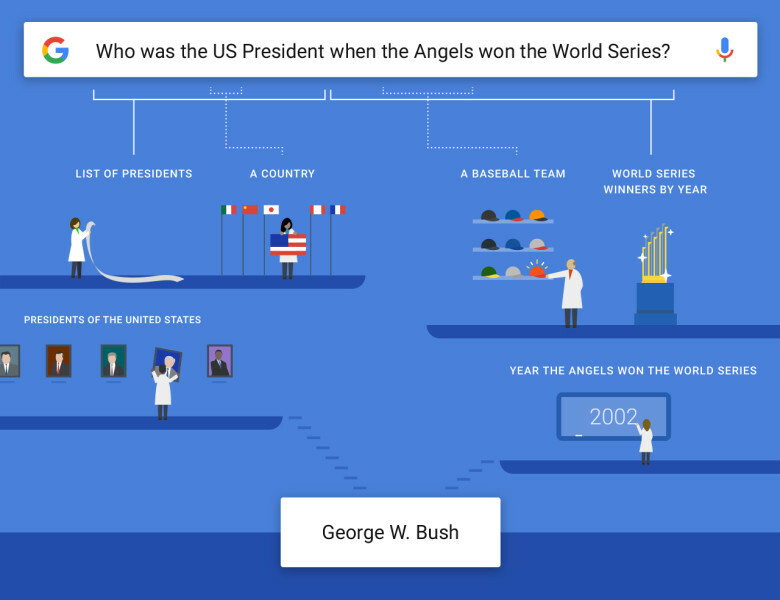 Broadly speaking, this means that Google’s understanding of general subject matter and themes has improved. It no longer relies solely on target keywords to assume meaning. As a result, keywords and variations related to the subject matter of your page can now possibly rank even if they are not mentioned within the page. However, in practical terms this only works when competitors have not created direct content using the variations and alternative phrases. How does natural language search affect my content strategy? We’ve seen search marketing evolve over the past few years to shift away from an emphasis on keywords, towards semantic relevancy, quality content, and overall user experience as Google continues to refine its techniques for providing ever more relevant, useful results. If you want to rank well in search engines, your content strategy should be designed to answer a user’s needs, not just provide them with facts. Of particular note when planning a content strategy is Google’s Hummingbird update, which was rolled out in September 2013 and focuses on why people are looking for something rather than what they are looking for. Its main objective is to create a more organised system for the indexing of information. Like the Panda update, Google Hummingbird aims at improving the quality of content that gets posted on the internet. The main focus is on context of content and the meaning of entire sentences and conversations, rather than analysis of single words or phrases. Some top ranking sites experienced a revision of page rank based on the flow of natural content on their websites. Hence content which was organised on the basis of “Who, Why, Where, and How” were the ones to benefit from this change, and extensive use of synonyms also helped in improving the SEO of these sites. For example, if you search for “cafés”, you might get some results that include the synonym “coffee shops”. Similarly, “St. Paddy’s Day” will return results for “St. Patrick’s Day”. Hummingbird helps Google better understand the language inputs from the user to convey the value of the output even if the word isn’t an exact match keyword. RankBrain is a machine-learning artificial intelligence (AI) system developed by Google to help process its search results. More specifically, it’s used to interpret the meaning and intent of content compared to the query, ‘learning’ from previous data to inform current decisions. Google recently spoke publicly regarding RankBrain and how it interprets a query. For example, if a user is searching for “best cereal bar brands”, RankBrain knows that the user is looking for particular types of information. The user may want a list of multiple cereal bar brands, not just one and possibly looking for some sort of evaluation criteria such as reviews on a particular cereal bar brand or product. RankBrain is also able to interpret that the user is looking for brand names and not necessarily cereal bar recipes – this type of query interpretation is something that Google, in particular, is very intelligent about being able to determine. This also applies to sentence meaning. For example, if a user is looking for “best sugar-free cereal bar brands”, in the past Google may have focused on the word “sugar” within this search query and found where there was a lot of mentions of the word “sugar” within the content, and a few mentions of “sugar-free”, and so this was a reason to rank it, which may have been irrelevant to the user’s search query. Bookmark our resources to make sure you don’t miss out on the latest updates, or get them delivered direct to your inbox by signing up for our regular newsletter – just pop your email address into the subscription box to the left of this post.